Sen. Capito and U.S. Rep. Evan Jenkins, both Republicans, expressed grave concern for West Virginia’s economic future in light of the EPA’s proposed Clean Power Plan. 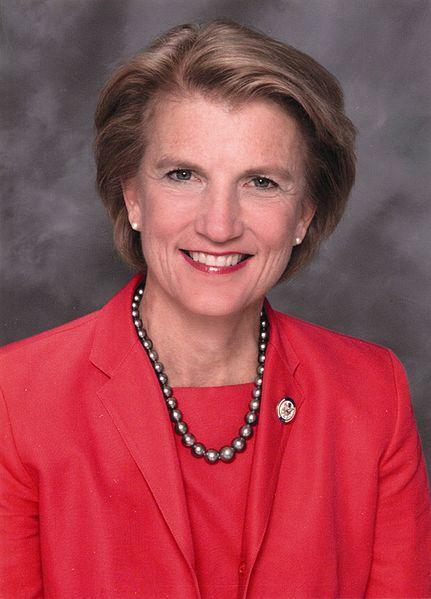 “We’re going to hear the voices of West Virginians on the devastating impact of the regulation of our fellow West Virginians, because we know we receive 95 percent of our power from coal-fired power plants,” Capito said. Capito pointed to recent announcements that three more coal-fired plants in West Virginia are scheduled to close in the coming months, blaming the closures on the EPA’s Mercury and Air Toxins rule. Rep. Jenkins also spoke about the economic perils of scaling back coal-fired power in West Virginia. Witnesses who discussed the negative economic impacts of proposed carbon regulations in Appalachia included an attorney for the United Mine Workers of America, Eugene Trisko. “This regulation is a neutron bomb,” said Trisko during his prepared statement. President of Appalachian Power, Charles Patton, and a local businessman Chuck Farmer also testified that an increasingly difficult business climate is making life tougher for rate payers and employees. Literally and figuratively on the other side of the aisle sat the Union of Concerned Scientists' Senior Energy Analyst, and West Virginia native, Jeremy Richardson. “92 percent of our coal reserves must stay in the ground to give us any hope of avoiding the worst consequences of climate change,” Richardson said. Along with Richardson, Director of the Center for Energy and Sustainable Development at WVU College of Law, James Van Nostrand testified about inevitable changes we face both here and around the globe. He said West Virginia needs to take a more proactive stance legislatively in dealing with this challenging reality, if we hope to mitigate the economic impacts. Both of West Virginia’s Senators, Democrat Joe Manchin and Republican Shelley Moore Capito, are co-sponsors of a piece of legislation that would rewrite the 40-year-old Toxic Substances Control Act. Rep. Shelley Moore Capito, R-W.Va., says that the current decline in coal-related employment is caused by many factors. But she says as a U.S. Senator, she would focus on the one she believes she can influence: environmental regulations. Patriot Coal is temporarily idling two mines at a southern West Virginia coal mining complex. On Monday, the St. Louis-based company announced the changes at its Paint Creek Complex near Cabin Creek. The company says it's idling the Samples surface mine and Winchester underground mine because of high coal inventory levels. Patriot attributes the high levels to the CSX railroad service disruption last month and diminished demand for coal.